James A. Garfield Local Schools was recently recognized by the State Board of Education for an excellent academic accomplishment. 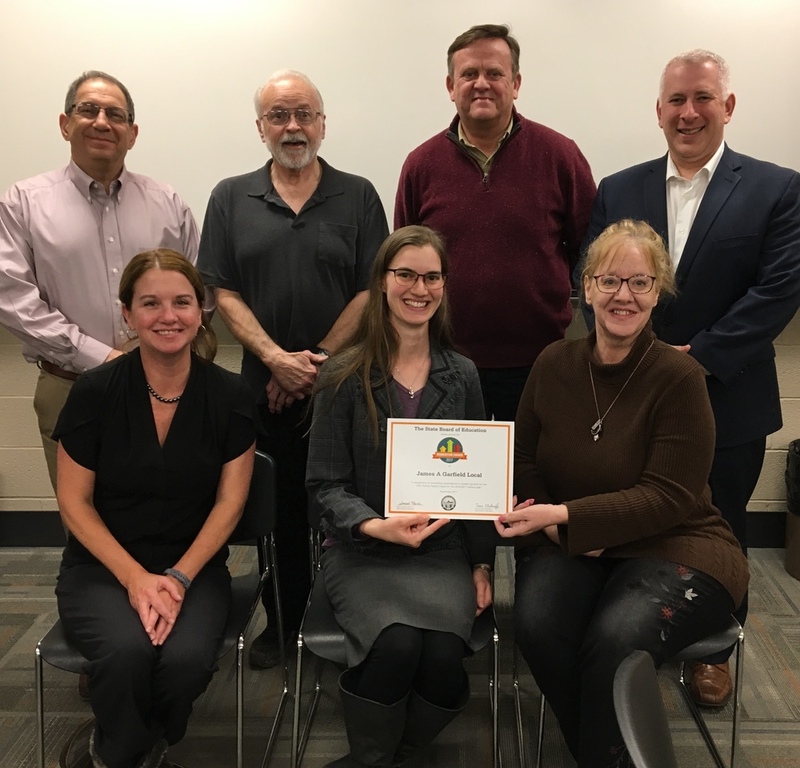 The Momentum Award was presented by the State Board of Education District 7 Board Member Sarah Fowler to the James A. Garfield Board of Education at their March 8th meeting. The award recognizes schools for exceeding expectations in student growth for the year, one of the most difficult areas to achieve an "A" in on the State Report Card. To earn this distinct honor, Garfield was one of less than 10% of schools across the State to earn straight A’s on all Value-Added measures on the report card. Garfield had at least two Value-Added subgroups of students, which includes gifted, lowest 20% in achievement, and students with disabilities, and earned an "A" in ALL subgroups! This award is affirmation of the outstanding work done by all staff and students at JAG. It is proof that an education at James A. Garfield is customized to meet the learning needs of all students. A rich tradition of academic excellence has become a standard of the community. We are proud to accept this award from the State Board of Education. Today and everyday we are proud to be Gmen!